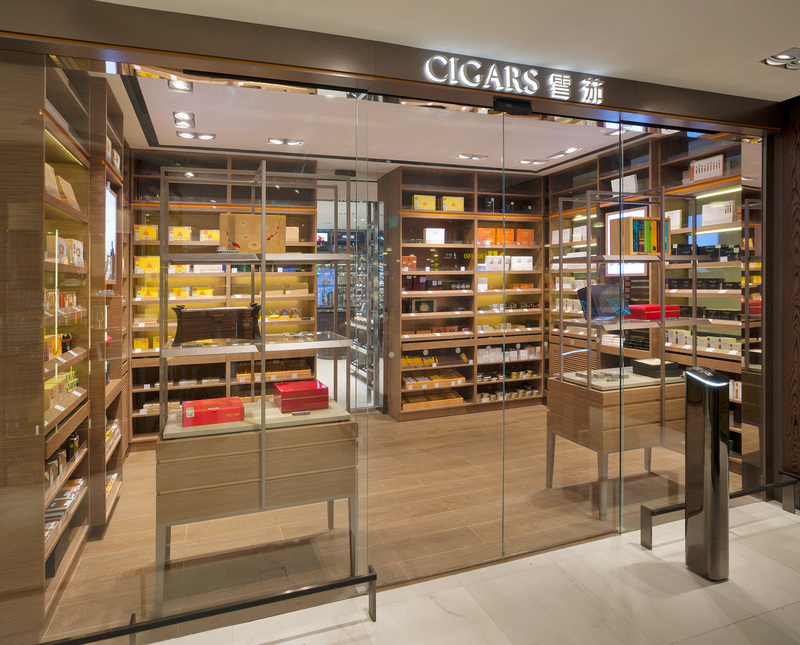 DFS Group, the world’s leading luxury travel retailer, unveiled its second Wines and Spirits Duplex store at Changi Airport, Singapore, Terminal 2. 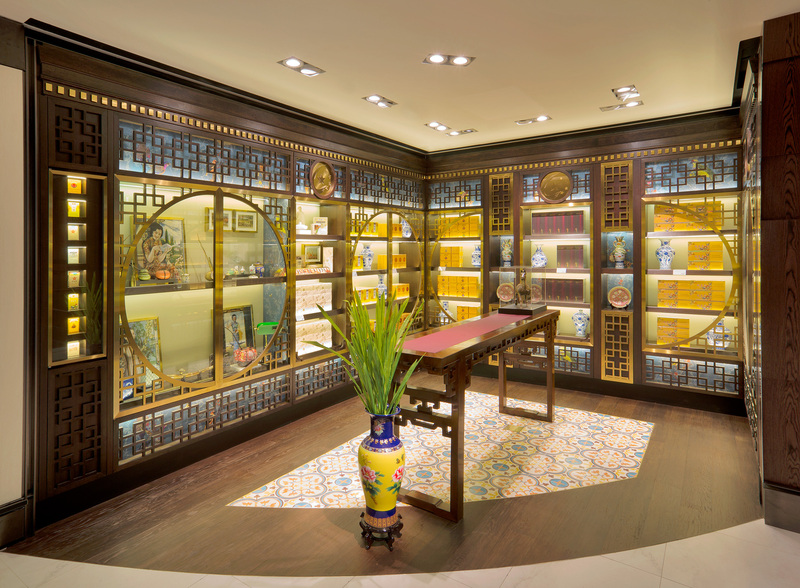 This Wine and Spirits Duplex, spanning two floors and designed by award-winning interior designer, Masamichi Katayama is inspired by the heritage of craftsmanship in the wine, spirits and tobacco worlds and boasts three unique DFS in-store concepts – the Wine Reserve, the Cigar Room and The Whiskey House. 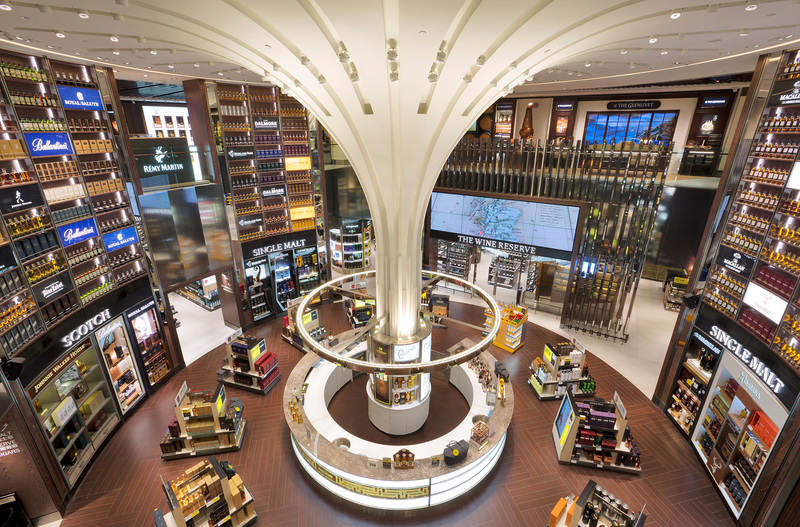 As guests enter the first floor of the Terminal 2 Wines and Spirits Duplex, they will encounter the Wine Reserve, featuring over 350 products from the world’s top wineries from Bordeaux, Burgundy, Champagne, Australia, USA, Italy, New Zealand and Portugal. For the curious and connoisseurs alike, the Wine Reserve is the perfect place for discovery with tastings from the enomatic machine featuring 12 different wines. The Cigar Room greets customers with a wide assortment of the world’s finest cigars from Cuba, Dominican Republic, Nicaragua and Honduras. A range of limited-edition accessories make perfect gifts for cigar-lovers, including a collection in special travel sizes catering to travelers as well as cigar humidors and cigar cases. 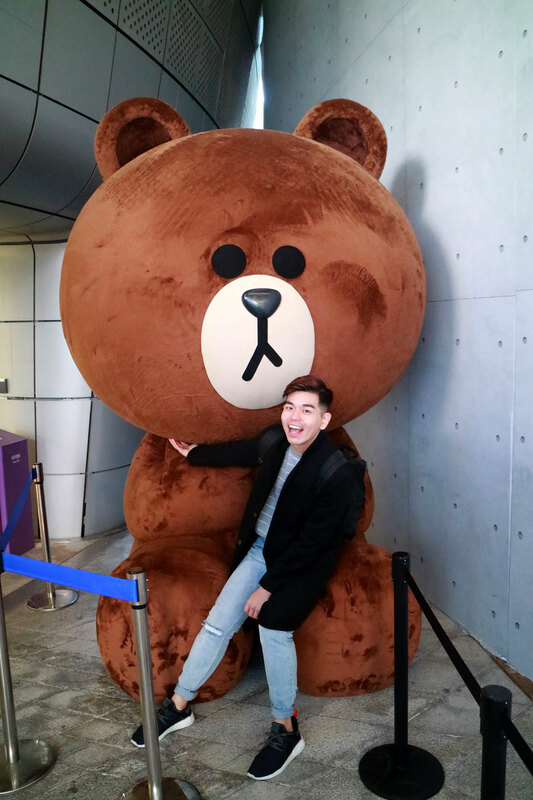 For the whiskey lover, DFS’ Wines and Spirits Duplex offers a world of choices with 179 single malts, 68 blended Scotch whiskies, 30 American whiskies as well as leading Japanese whiskies Yamazaki, Hibiki and Suntory Chita and Kavalan from Taiwan. 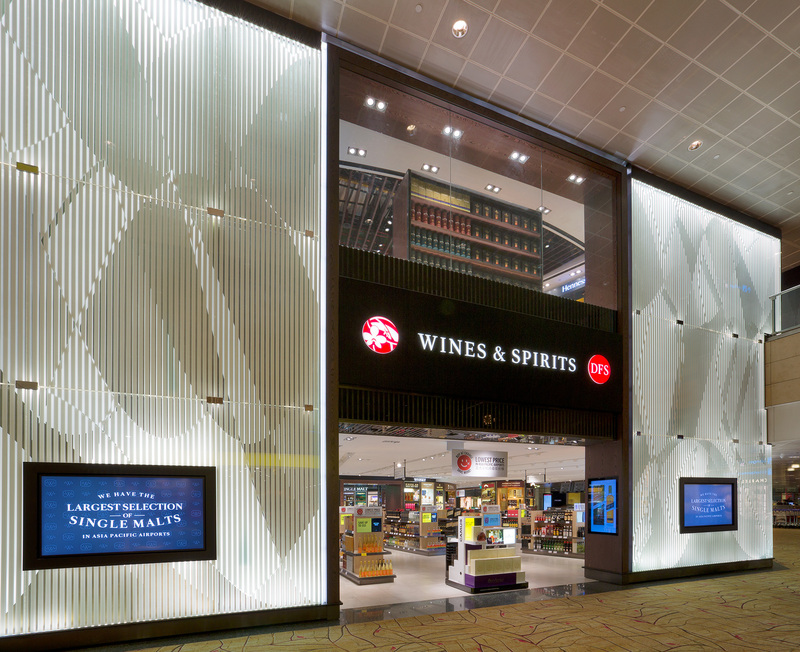 And, with the largest assortment of single malt whiskies offered by any travel retailer in the region, the Terminal 2 Wines and Spirits Duplex builds on DFS, Singapore Changi Airport’s reputation as the travel retailer of the year, as awarded by Whisky Magazine in 2015. The upper level of the duplex introduces the all new Whiskey House concept, an intuitive and experiential whiskey shopping experience where guests can enjoy complimentary tastings of over 100 different whiskies from across the globe. Based on flavor profiles, the Whiskey House’s staff will design individual sampling experiences for guests to demystify the selection process and make choosing your favorite whiskey a simpler, more engaging and refreshing experience. In addition to the Whiskey House, the upper level hosts seven individually branded boutiques from Glenfiddich, Glenlivet, Hennessy, Johnnie Walker, Remy Martin, The Dalmore and The Macallan, all tailored to reflect the unique essence, culture and character of each brand. 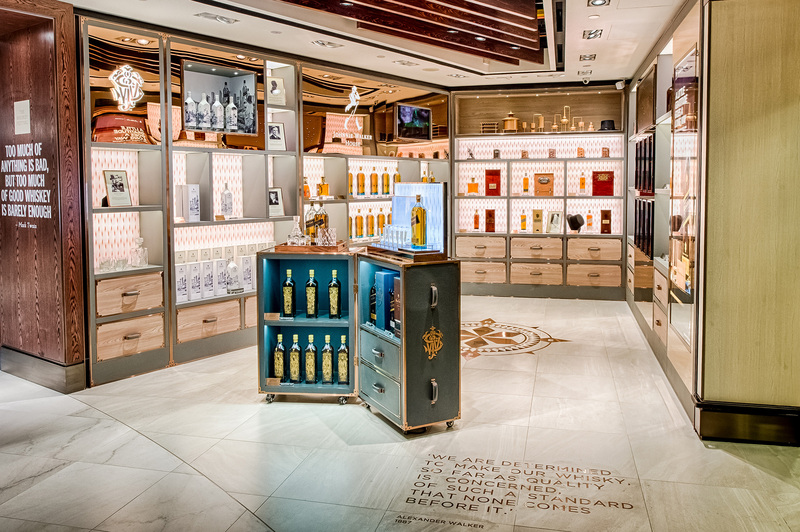 Throughout the year, guests can enjoy visits from master distillers, blenders and brand ambassadors as well as tailored tastings from the brands inside the boutiques. 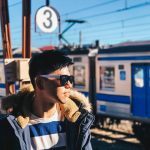 To celebrate the launch of the Terminal 2 Wines and Spirits Duplex, DFS will be hosting a first-of-its-kind Whiskey Festival. From July 27 to September 10. The Whiskey Festival will showcase a series of events on Friday and Saturday evenings. Each weekend, a different whiskey brand will bring the festival to life with guest appearances from their brand ambassadors, special master classes and food pairing sessions. 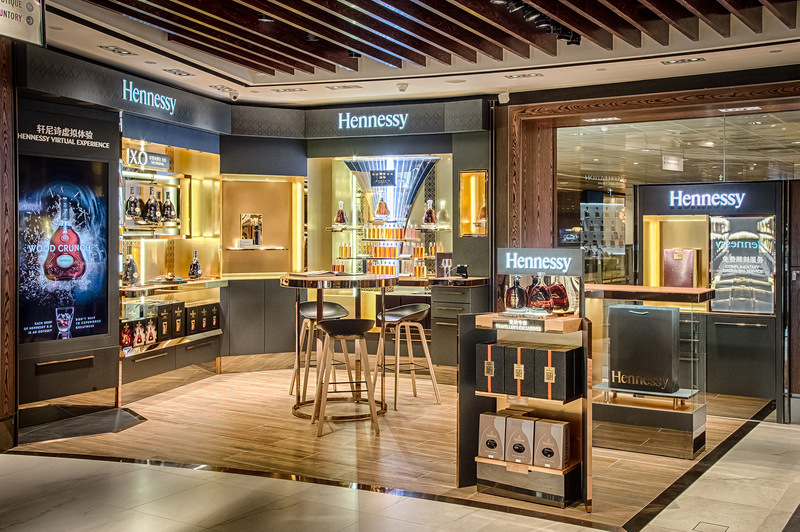 At the same time, three complimentary whiskey cocktails representing Scotland, U.S. and Japan will be available for sampling throughout the festival at the Whiskey House at DFS’ Terminal 2 duplex and The Long Bar by Raffles at DFS’ Terminal 3 duplex.